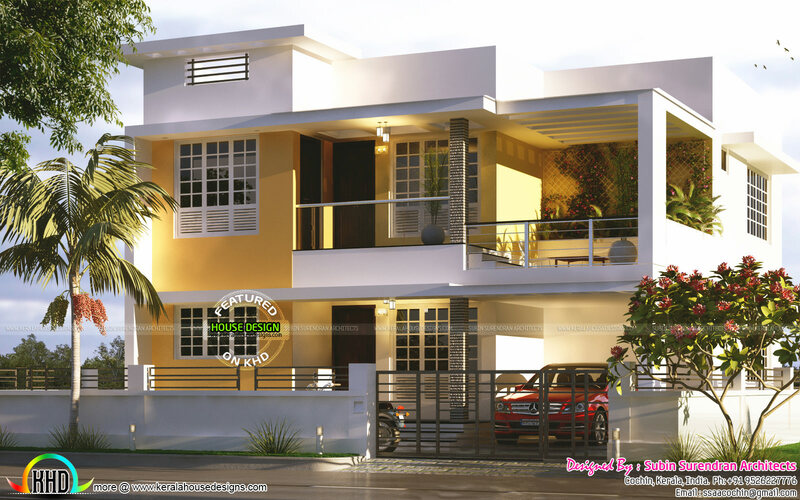 1740 Square Feet (162 Square Meter) (193 Square Yards) modern flat roof house in yellow paint with vertical garden. Design provided by Subin Surendran Architects & Planners, Cochin, Kerala. 1 comments on "1740 sq-ft modern flat roof house"